Kehlani gave birth to her baby girl Adeya last weekend. 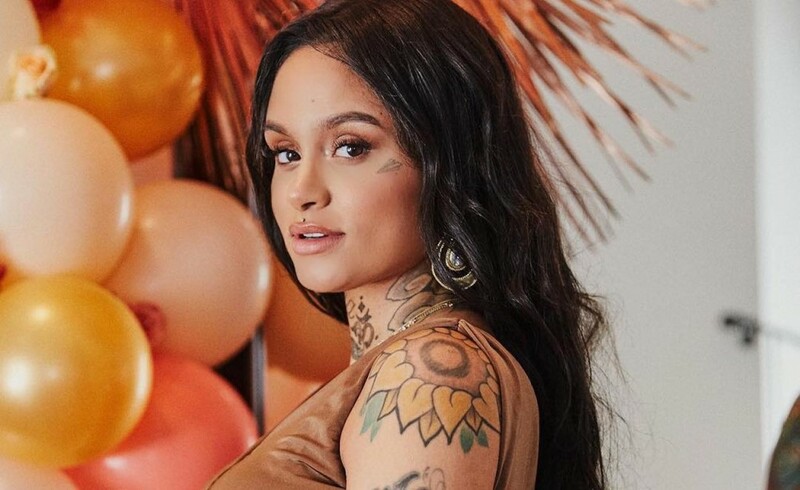 After much speculations over the past couple days, Kehlani has finally confirmed that she welcomed her baby girl Adeya into the world following a home birth delivery last weekend. She broke the news IG saying that it was the “absolute hardest yet most powerful thing I’ve ever done.” She also explained that she gave birth to her baby girl without the assistance any medications. Adeya is the first child for Kehlani and her boyfriend Javie Young White who have been dating for a little over a year. Earlier this month, the Oakland singer released the music video for her single “Butterfly” where she put her baby bump on display. this weekend our angel arrived healthy & perfect in every way in our bathroom at home. unmedicated homebirth was the absolute hardest yet most powerful thing i’ve ever done. thankful beyond words. in love beyond comparison. refraining from posting to be family and rest, we just wanted to say thank you to everyone who sent well wishes, love, and support in all forms while waiting & working to bring Adeya earthside. ?